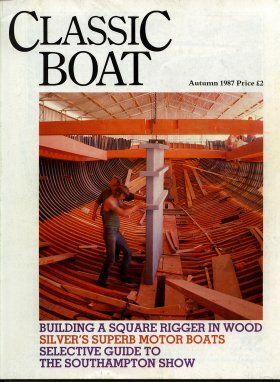 Starting with Number 4 from the Autumn of 1987 - the cover shows lowering the centreboard into the Australian square rigger "One & All", authors such as Dr Basil Greenhill and Jay Benford, varnishing, bookshelf contents and "The Steam Pages" with John Leather and editor Pete Greenfield in the stoke-hole justify a cover price of £2, our collection is quasi-complete. [updated following a donation May 2001] Complete to 2001, some more recent issues. We do have some duplicates, including a few early ones for exchange. Please contact us for donations or exchanges.